Thailand: Enjoy the Myriad Charms of This Beautiful Country!! 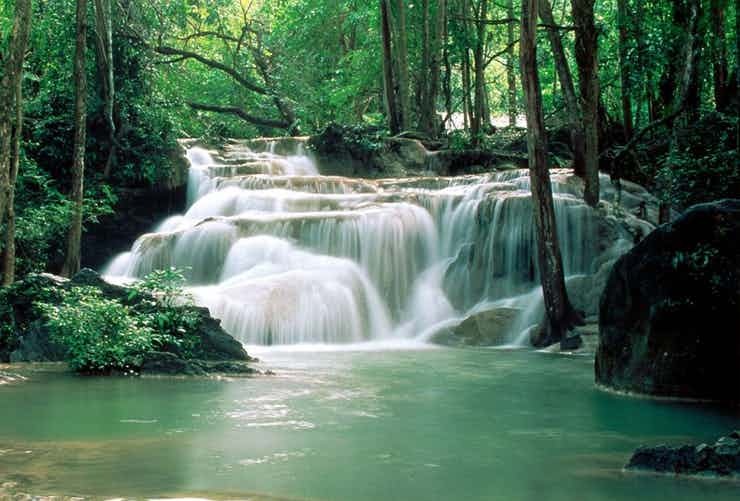 Thailand, with its majestic beauty and tropical surroundings, will surely win your heart. An affordable destination for leisure tourists, it has a staggering range of attractions to offer. 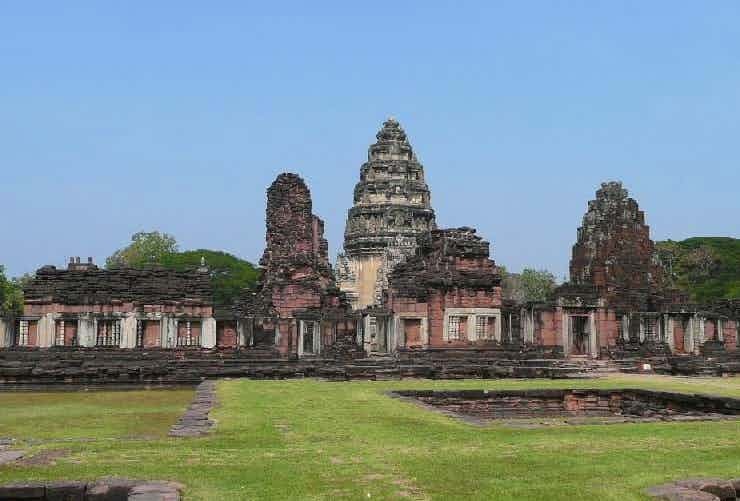 Spend some memorable time in this stunning country and explore heritage sites such as the 9th century Angkorian Temple, Preah Vihear, Wat Phra Kaew, Golden Buddha and Phanom Rung Historical Park. Be rejuvenated as you cherish the tranquil beauty of beaches at Phi Phi Island, Ko Tao and Surin Islands. Travel to Phuket or Bangkok and experience Thailand’s amazing nightlife. From modern day facilities to historical traditions, the country offers everything with elegance and charm. Known world over as the ‘Land of Smiles’, you will always be welcomed in Thailand by friendly and helpful residents. Also, do visit the charming Chiang Mai and Ayutthaya, a UNESCO World Heritage Site to make the most of your stay in Thailand. 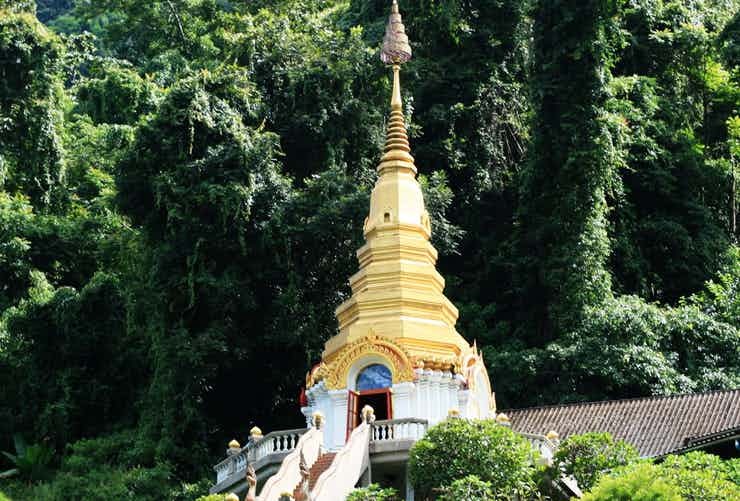 Plan a visit to the town of Chiang Dao to explore the fabulous natural attractions of the area. The town is surrounded by a jungle, which often makes for a stopover for hikers, trekkers and bird watchers. Pha Daeng National Park and Doi Luang Chiang Dao peak are other tourist lures at Chiang Dao. Chiang Rai is a beautiful city in Northern Thailand and is known for its majestic temples, relaxed atmosphere, and incredible regional food. The city’s diverse attractions have made it a big hit among backpackers and travellers of all kinds. 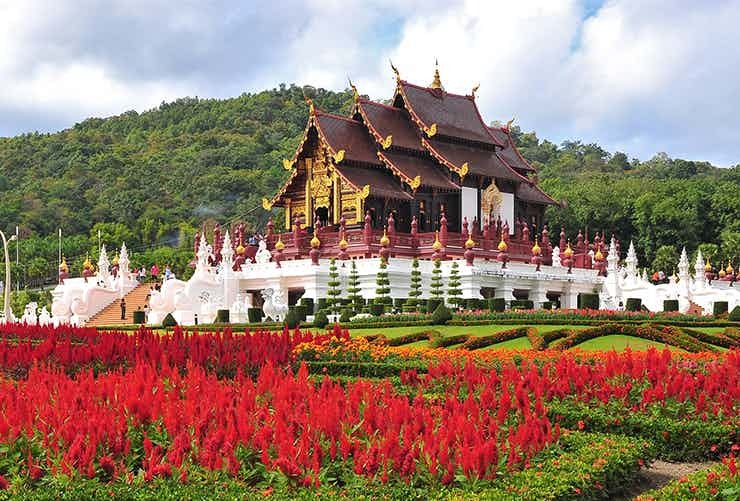 Dubbed Thailand’s ‘Rose of North’, Chiang Mai draws tourists to its cultural and natural attractions. 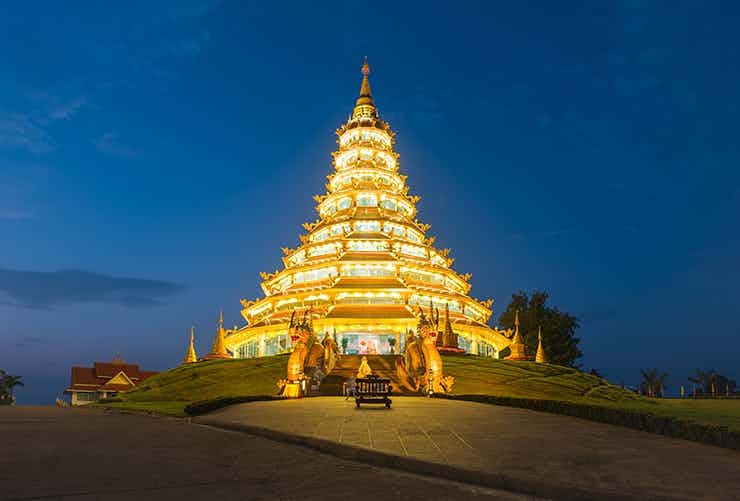 Explore historical and architectural significance of over 300 temples, shop at the famous Night Bazaar, or trek through the mountains – there’s a lot to enjoy here in Chiang Mai. 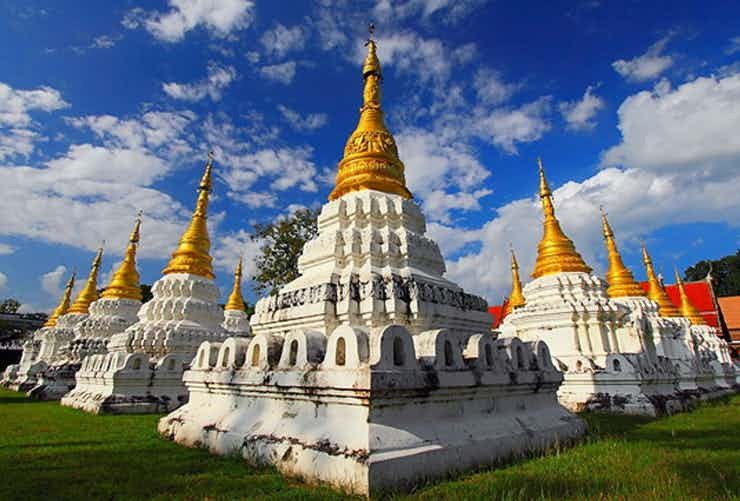 Nestled on the banks of the Kuang River, Lamphun is an exciting place for history buffs and nature lovers alike. The city brims with ancient temples and monuments, all depicting its rich cultural heritage. Surrounding mountains, forests and caves are all worth exploring. Lampang is the only place in Thailand where you can still enjoy a ride on a horse-drawn carriage. 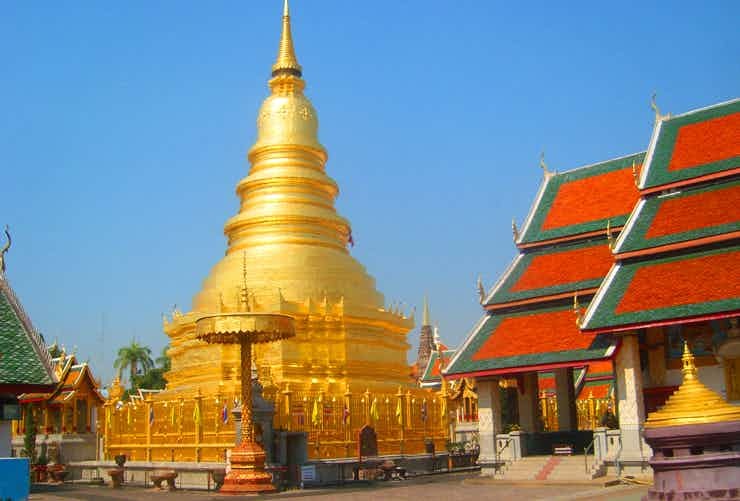 Several beautiful temples and national parks further make Lampang a major tourist city in Northern Thailand. 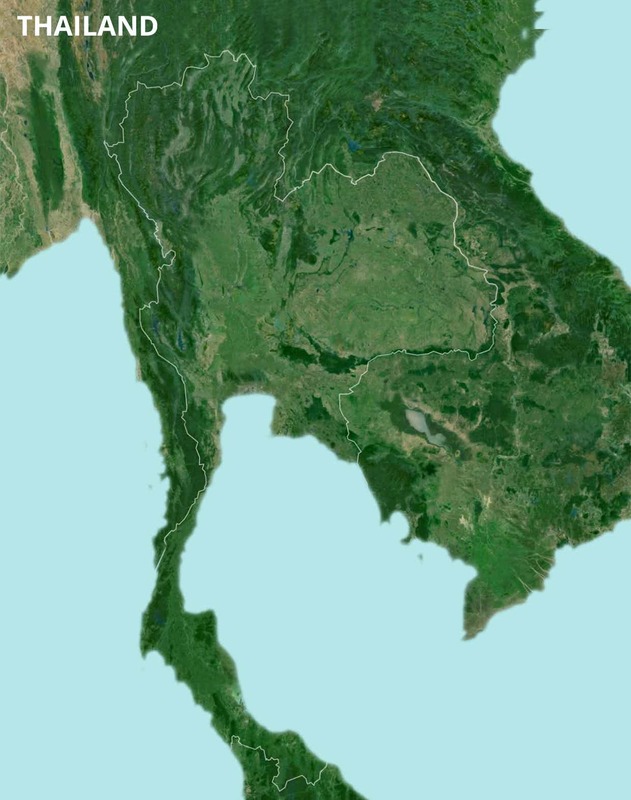 Learn about Lanna, Hariphunchai and Burma civilizations by visiting the different archaeological sites here. 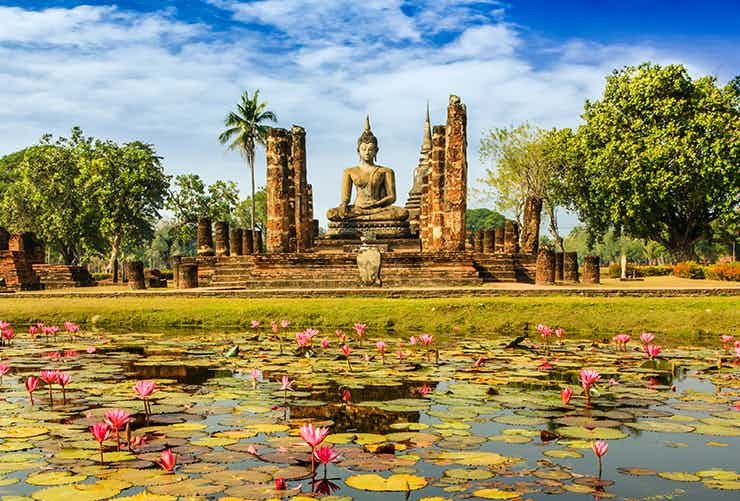 Sukhothai is one of the oldest cities in Thailand and impresses with its fascinating historical temples, glorious statues of Lord Buddha, and the classic Sukhothai style of architecture. Sukhothai Historical Park, a UNESCO World Heritage Site, is a major tourist attraction here. Phitsanulok, with its unique blend of the old and new, is a renowned tourist destination in Northern Thailand. From historical temples and interesting museums to beautiful parks and busy markets, the city packs in an array of attractions that make an impression on one and all. 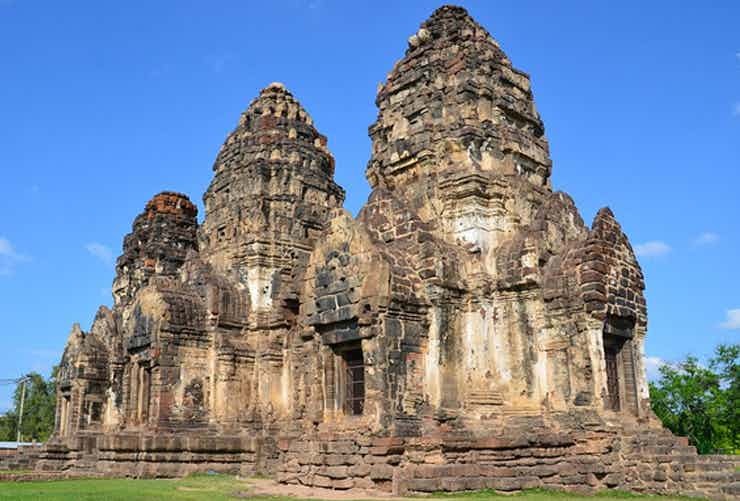 Lopburi is a city located in Thailand’s Chao Phraya Basin region. It allures hordes of holidaymakers to it marvellous temples, museums, and famous historical buildings. The buzzing markets in the city offer loads of shopping opportunities and have stalls serving delicious street food. 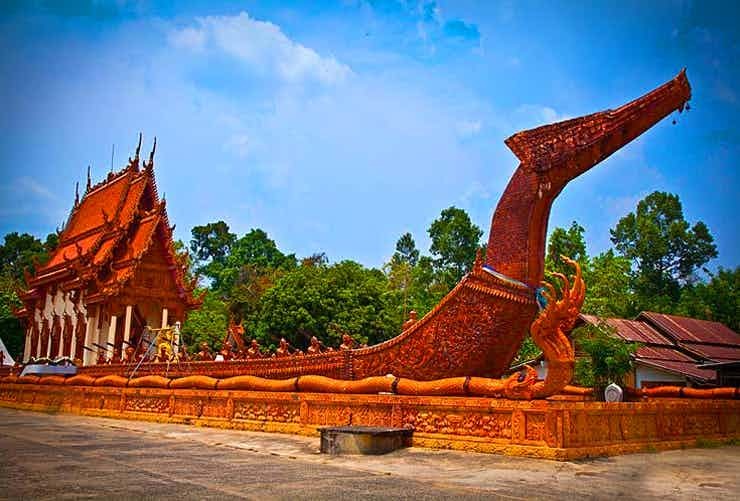 Nakhon Ratchasima or Khorat, a prominent gateway to Isan in Northeast Thailand, is around three hours from Bangkok. A day out here is all about experiencing the slow paced Thai lifestyle while visiting quiet Buddhist temples and eating at sidewalk restaurants. With beautiful Mun River in the backdrop and an array of interesting sightseeing attractions, Ubon Ratchathani is a delightful holiday destination. Apart from visiting temples such as Wat Nong Bua and Wat Thung Si Muang, visitors can enjoy shopping and dining at the city’s vibrant markets. A short drive from Bangkok, Kanchanaburi is a famous tourist destination where you can explore the history of Thailand amidst serene natural surroundings, which comprises Erawan National Park and Sri Nakarin National Park. Visit JEATH War Museum to peep into the city’s rich past. 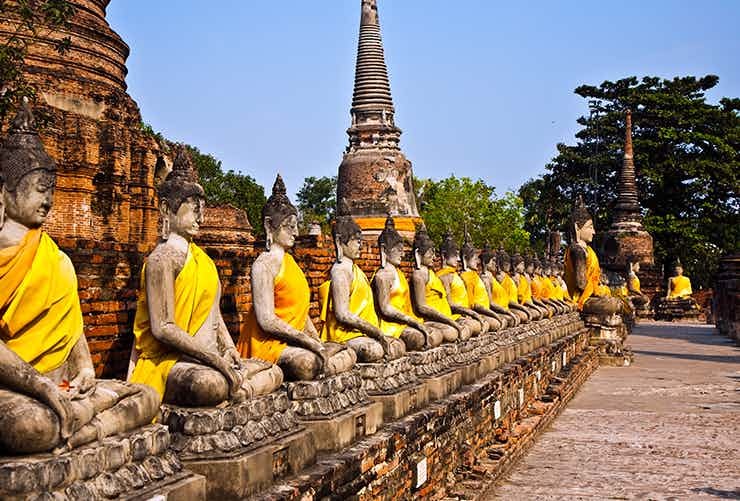 Visit Ayutthaya and explore the rich history and culture of Thailand. Step back in time as you take a tour of the city’s beautiful temples, museums and ruins. 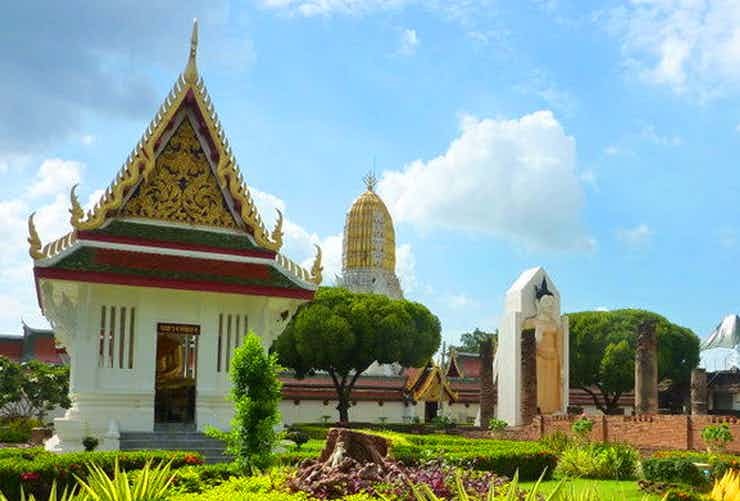 Some must-visit attractions here include Wat Phra Si Sanphet, Ayutthaya Historical Study Centre, and Phra Nakhon Si Ayutthaya Historical Park. 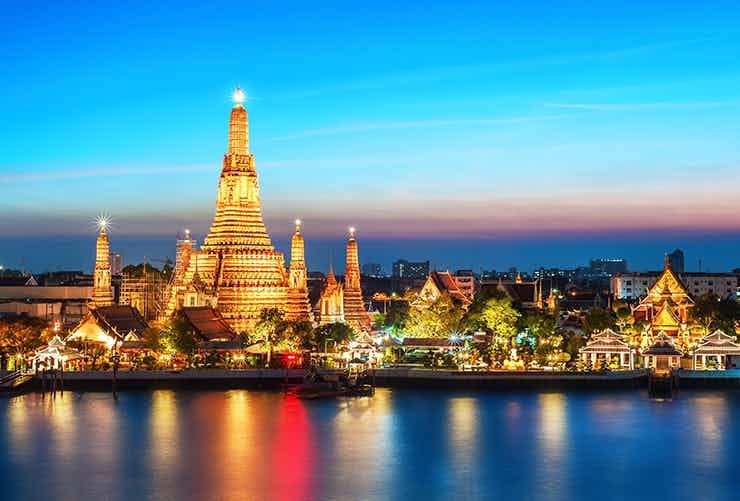 The capital city of Thailand, Bangkok is among the most visited tourist destinations in Asia. This fascinating city represents the modern face of Thailand with its glittering malls, world class hotels and spa resorts. Bangkok’s Buddhist shrines and delicious street food are equally popular. A unique yet enthralling way to explore Thailand’s natural, cultural and historical splendours!